William H. Janeway has lived a double life of “theorist-practitioner,” according to the legendary economist Hyman Minsky, who first applied that term to him twenty-five years ago. In his role as “practitioner,” Bill Janeway has been an active growth equity investor for more than 40 years. He is a senior advisor and managing director of Warburg Pincus, where he has been responsible for building the information technology investment practice, as well as a director of Magnet Systems and O'Reilly Media. As a “theorist," he is an affiliated member of the Faculty of Economics of Cambridge University, a member of the board of directors of the Social Science Research Council and the Fields Institute for Research in the Mathematical Sciences, and of the Advisory Board of the Princeton Bendheim Center for Finance. He is a co-founder and member of the Governing Board of the Institute for New Economic Thinking (INET), and a member of the Board of Managers of the Cambridge Endowment for Research in Finance (CERF). 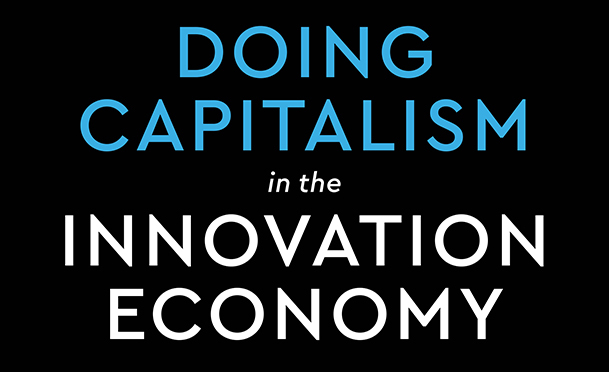 Following publication in November 2012, his book Doing Capitalism in the Innovation Economy: Markets Speculation and the State (Cambridge University Press) became a classic. The fully revised and updated second edition, Doing Capitalism in the Innovation Economy: Reconfiguring the Three-Player Game between Markets, Speculators and the State was published in May 2018.